If you have a passion for the cosmetology field and enjoy passing along your knowledge, then becoming an instructor should be one of your goals! This position will require years of experience in the field, but it’s an opportunity to learn multiple teaching methods. An instructor will need to create a curriculum, have good organizational skills, and the ability to demonstrate procedures. If you’re interested in styling the trendiest looks in magazines and advertisements, you should research editorial hair styling. This career calls for high-quality creativity because most editorial looks are atypical -- they are unique and require great skills. This environment could be high stress and creative boundaries will be pushed, but these challenges can be rewarding in the end. Are you interested in the fast-paced lifestyle that is constantly described in pop culture? Train as a stylist for the stars! This position is demanding and might not include much down time, but the glitz and glamour could make it an equal exchange. According to Jen Atkin, a celebrity hair stylist and entrepreneur, in an interview with Cosmopolitan, “The success of hairstylists is 30 percent talent and the rest is our personality.” If you have what it takes, then you should be training! These options are only the beginning of what could lead to a very long career. 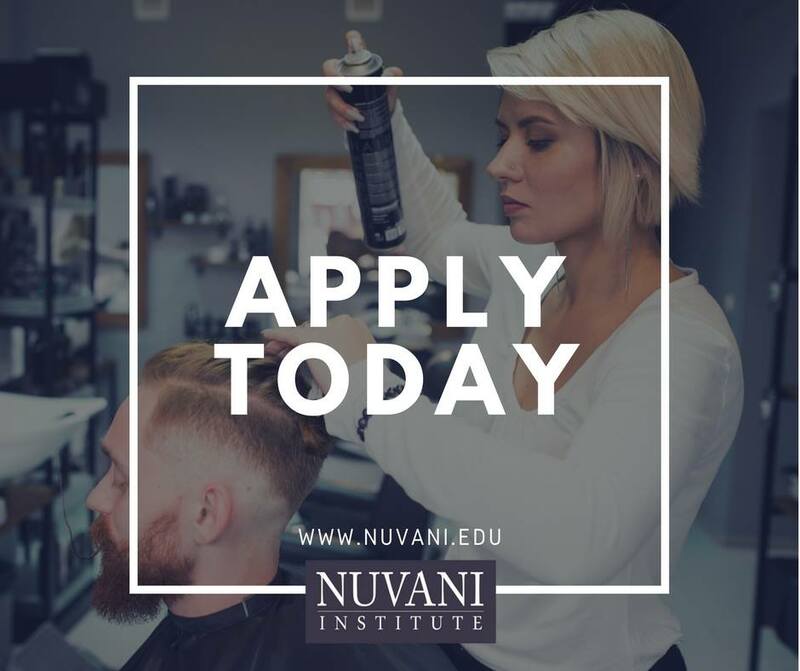 Nuvani Institute is the perfect stepping stone towards those dreams. If you make the effort and put your all into your training, then you can absolutely can reach your goals. We make education affordable and provide expert instructors who are prepared to assist you in your success. Whether you’re looking for an Austin beauty school, a San Antonio manicurist class, or cosmetology classes at one of our other campuses, we’re happy to help. Get started today! Fill out the form provided in this link: http://bit.ly/2zK0vZ0.